The Rock and Roll Hall of Fame is having to deal with another crisis on its hands, and no, we’re not talking about the Radiohead hoopla. 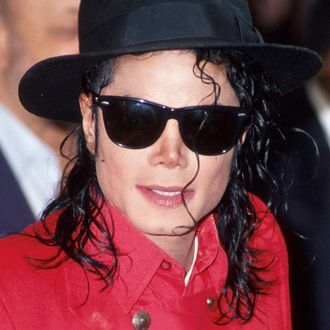 According to TMZ, the Hall of Fame confirmed it has no plans to revoke Michael Jackson’s two inductions into the institution or remove any Jackson memorabilia from the Cleveland museum, despite the damning allegations that have come forward about the pop star in Leaving Neverland. The reasoning, an official explained, is due to Jackson being “recognized for musical excellence and talent, along with having a lasting impact on rock ’n’ roll.” (Jackson was inducted as a member of the Jackson 5 in 1997 and as a soloist in 2001.) In the documentary, two men allege Jackson not only sexually abused them as children, but also brainwashed them into believing the abuse was a normal and consensual relationship. Jackson’s estate has vehemently denied the “two perjurers” claims, and is currently in the process of suing HBO. Jackson’s sister, Janet, will be inducted into the Hall this week alongside Roxy Music, Stevie Nicks, the Cure, Radiohead, the Zombies, and Def Leppard. “I am truly honored and I am happy to be in there with my brothers,” she said when the inductees were announced last year. Jackson is expected to attend, which should make for an interesting speech, eh.